We both loved our wedding collage! It made the perfect gift for our parents on our wedding day. 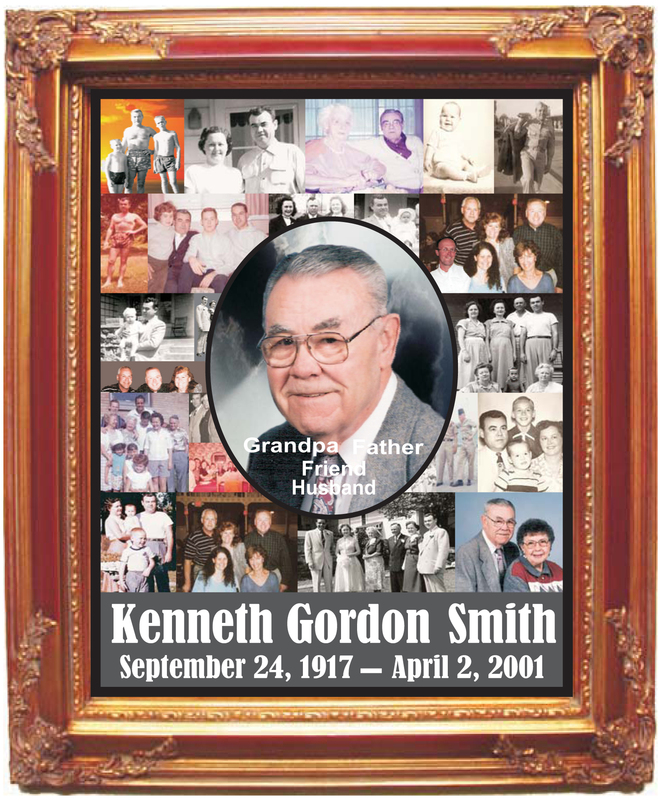 Perfect for graduations, weddings, anniversaries, birthdays, family reunions or anytime you want to have a memorable keepsake, our collage portraits combine your snapshots into a beautiful family heirloom. 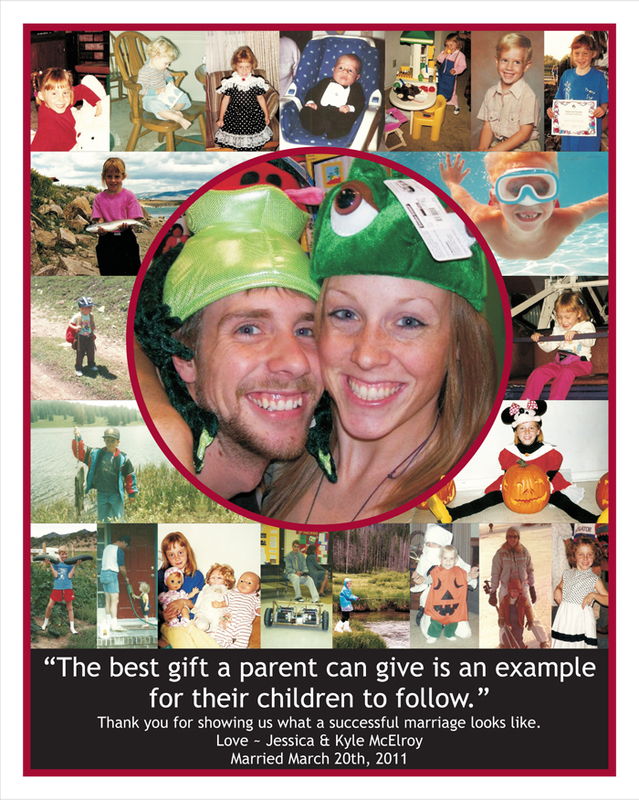 You provide us with the snapshots you want to use, and we arrange them into a collectible 22" x 30" portrait. Smaller sizes are available. 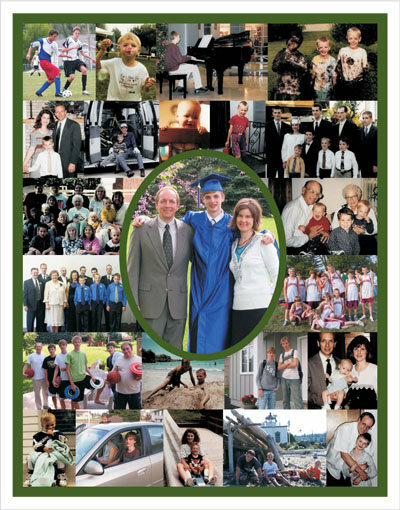 We even create collage portraits for funerals and memorial services.